We are in the process of updating our Luminate URLs to Yahoo Small Business. You will see “Luminate” in URLs and email address for a few months. Today, I think content can make a difference in your marketing. If it didn’t I would stop tomorrow. It seems everyone believes content is king and as a result there is a lot of less than stellar content out there. As a result, information is beginning to lose its value and people are frankly tired of the same old poor quality of information. Newspapers for instance have simply cut back more and more in order to focus more energy on a “breaking story”. How did we ge to this place and what can we do in the future. People have no time to read or listen to your content. Today, information is coming from us at all directions and most of the time, we quickly scan headlines and paragraphs to determine if that information will be of any value to us. People’s time is really valuable. Each day I watch “World News Tonight” With David Muir – ABC News. I typically watch the first 15 minutes because it is commercial free. After that, it is usually one or two stories and a long pharmaceutical commercial. So much technology has been developed for people to solve problems. Google loves “long-tail” search questions to help give users the information they need with respect to search. Also Apple Siri is built around this same concept. People want to connect with great people. If you want to build trust and transparency, start sharing more of your experiences. Too many people write articles that don’t talk from experience. What does this mean for Companies? Make sure you are producing content that people will want to read. Produce content on a regular basis. At least 3 times a week. Start a personal/professional blog, (like this one) to keep yourself connected to other marketing professionals. Include a picture in every article you write. People like to see more than just text. Know you will have good/bad days. If the thoughts are not coming to you at the time you try to write, come back the next day and try again. This will happen to you at some point. Build off someone else’s article and give credit to their work. This is a great way to get your mind on track to write. Write from the heart and your own experiences. People like information written from experiences rather than dictating the same old textbook information. People may not leave comments online, but if you write good content, people will take notice and will tell you in person. People like short, easy to read content – much more convenient on their mobile devices. Finally, be different. There is so much information that is the same old news. Start talking about a new approach, a new idea, a closer look at a process. Have an opinion and even if people disagree, at least you know they are reading your material. Start sharing some great content today! This article was syndicated from Business 2 Community: People Want Better Content! 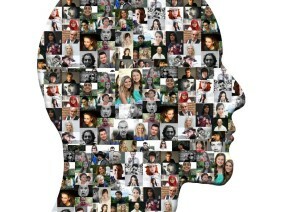 Why Do I Need Personas in My Content Marketing Strategy? Should You Consider Upping Your Bandwidth Before Cyber Monday?